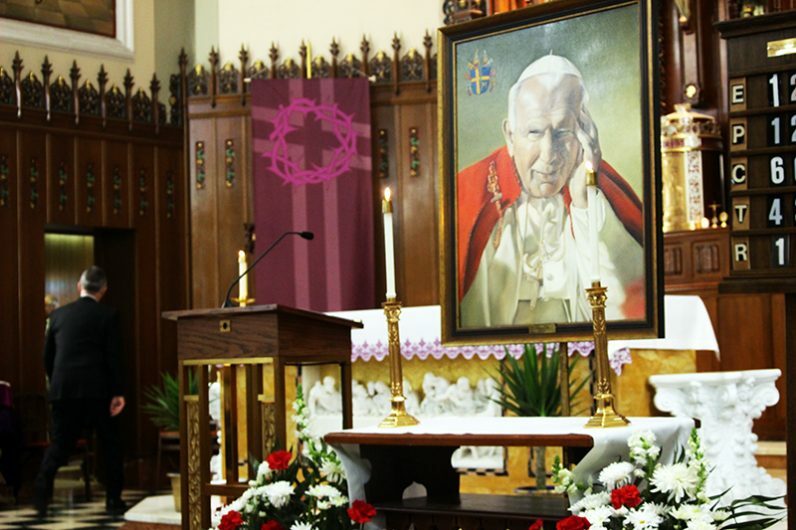 A portrait of St. John Paul hangs before the table on which the first-class relic was displayed at the March 16 Mass. 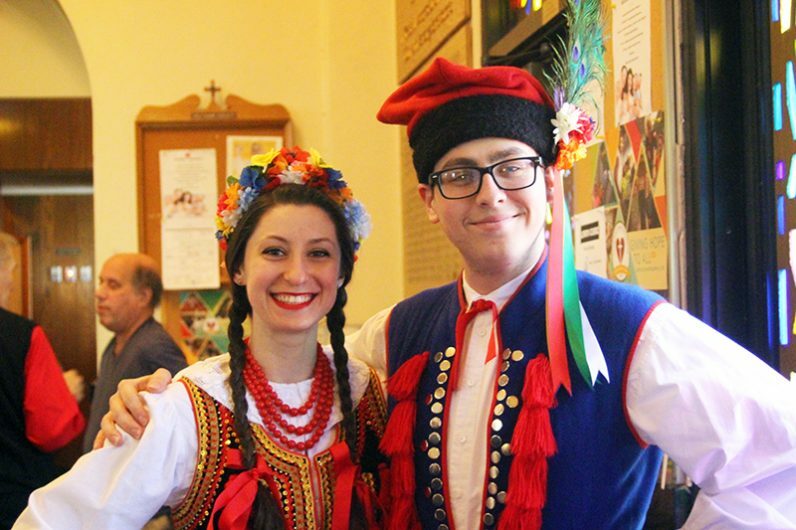 Several parishioners of St. John Cantius dressed in traditional Polish costume for the March 16 Mass at which the first-class relic of the late pontiff was formally installed. 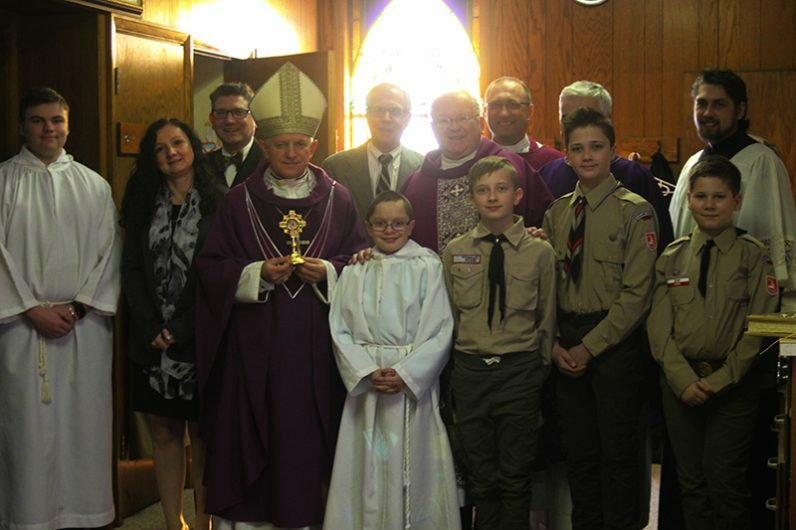 St. John Cantius parishioners celebrated their Polish heritage at the March 16 Mass. 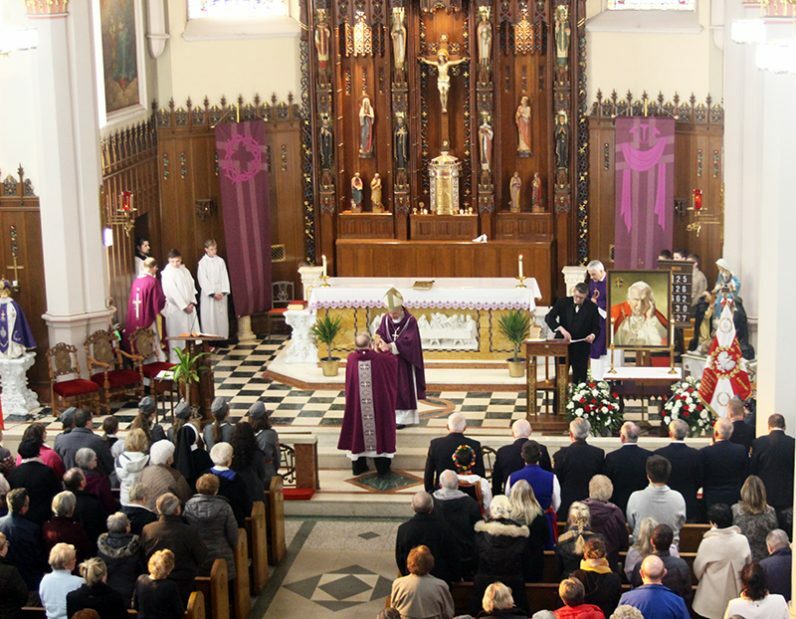 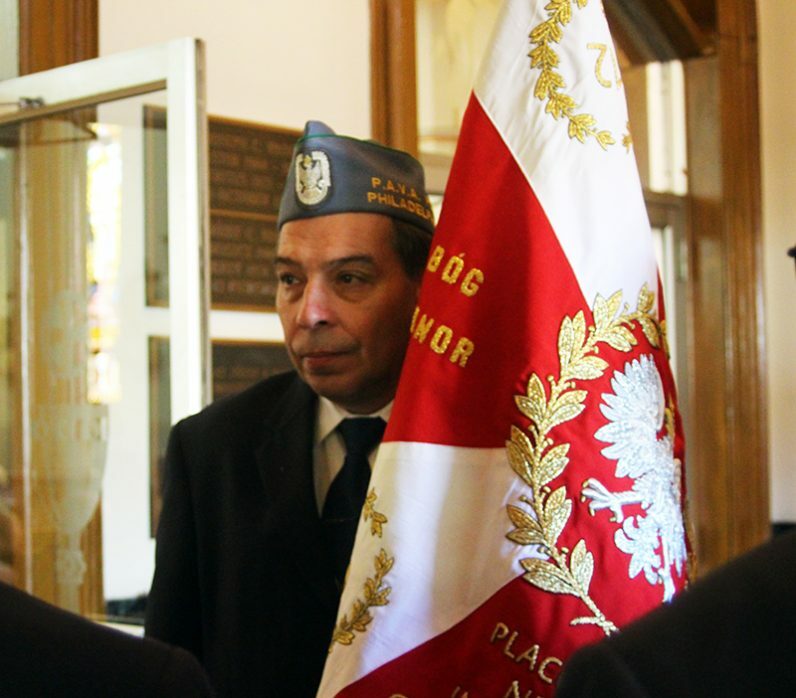 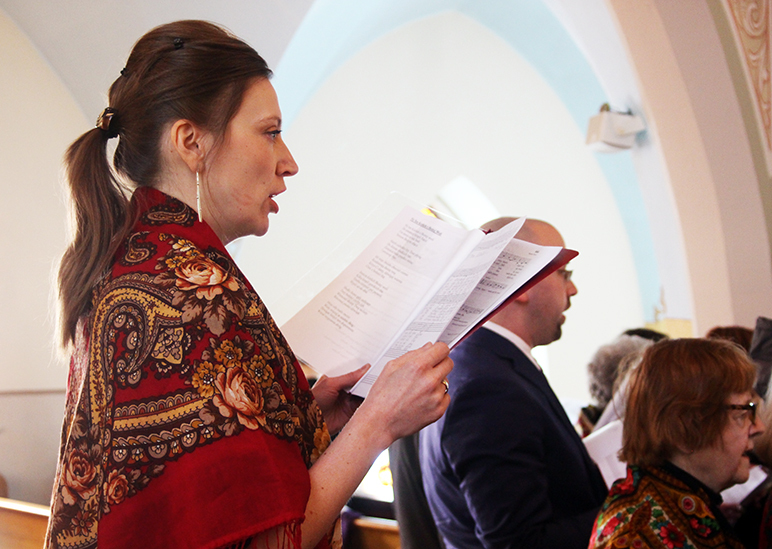 Members of the St. John Cantius choir sang in both Polish and English during the March 16 liturgy. 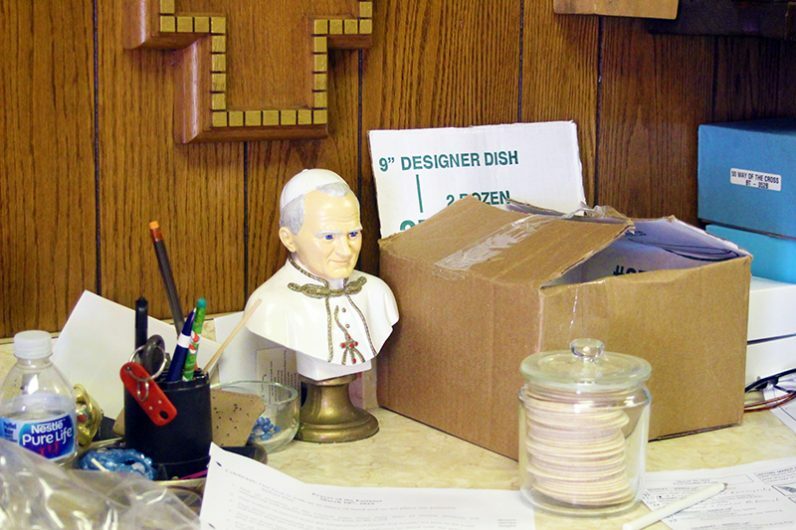 A bust of St. John Paul overlooks unconsecrated hosts in the sacristy of St. John Cantius Church before the March 16 Mass. 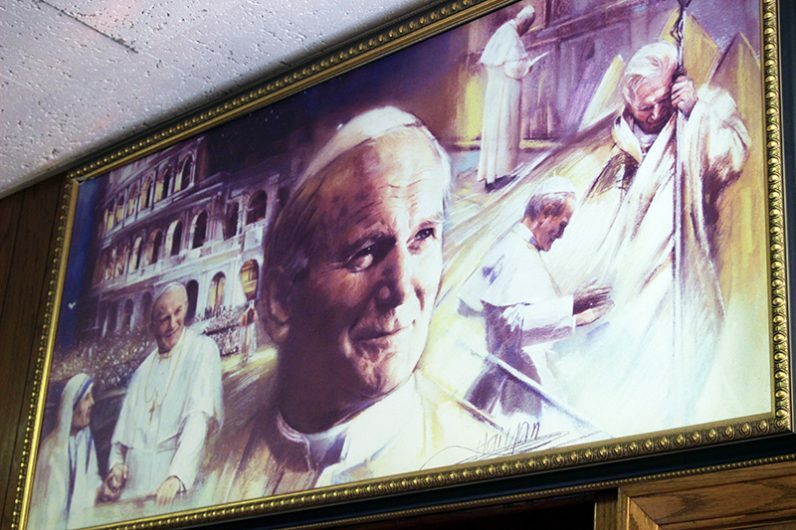 A large banner with various images of St. John Paul hangs in the sacristy of St. John Cantius Church, which received a first-class relic of the late pontiff on March 16. 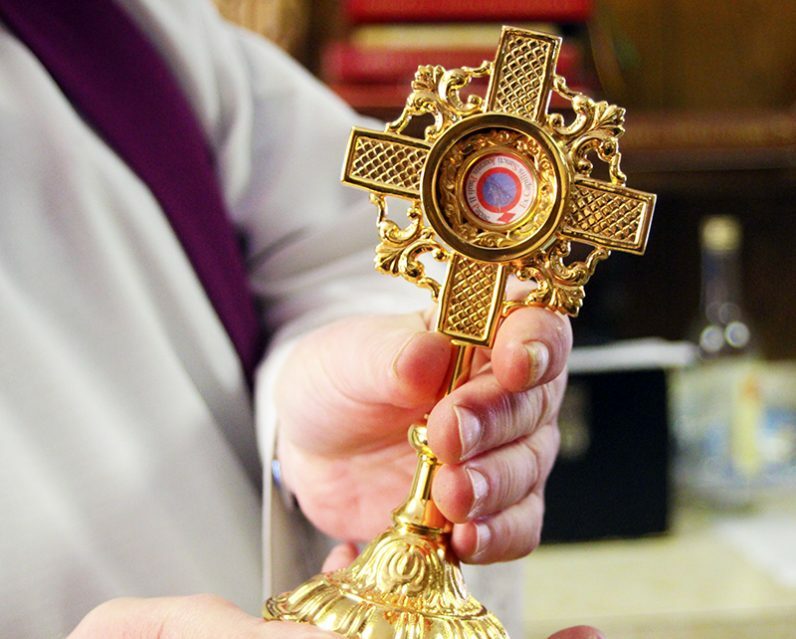 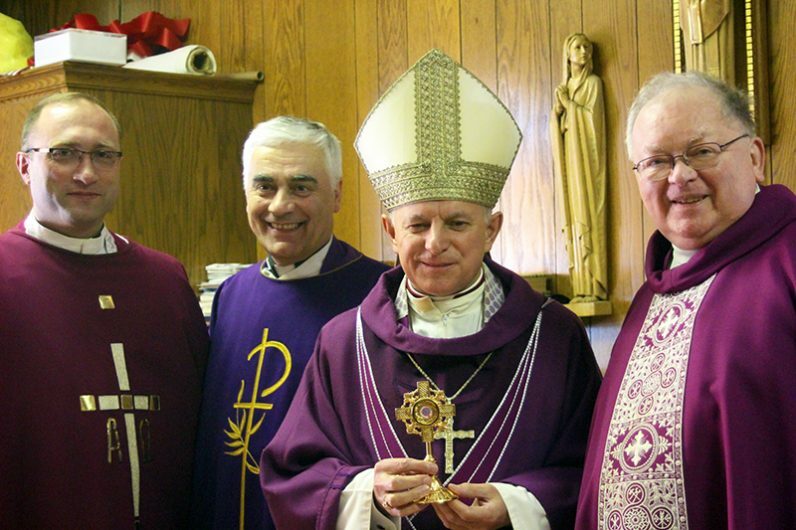 Father Joseph Zingaro, pastor of St. John Cantius Parish, receives a first-class relic of St. John Paul from Archbishop Mieczyslaw Mokrzynski at the March 16 Mass.